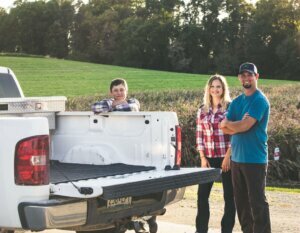 journey to become a future agricultural leader. in ag and the issues they see as most important for our state’s ag community. apply for the scholarship is Friday at 4:30 p.m.
MCGA who is working toward a degree in an agriculture-related field. participate in grassroots advocacy today. The Minnesota Corn Growers Association (MCGA) is proud to announce its first-ever statewide scholarship for college students aspiring to become future agricultural leaders. The deadline to apply is 4:30 p.m. on March 8. MCGA will be offering two $5,000 scholarships to college students (click to apply) who are currently enrolled or will be enrolled as a full-time undergraduate student during the fall 2019 semester. The statewide scholarship will supplement scholarships long offered through local county corn organizations. 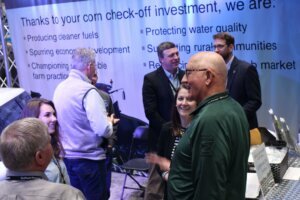 MN Ag EXPO returned to Mankato last week, once again featuring great exhibitors, unique learning opportunities and a productive Minnesota Corn Growers Association (MCGA) annual meeting. Launched in 2017, the “MN Corn Grows MN” initiative has continued to raise awareness around the vital role corn farming plays in the overall well-being of our state. Free for Minnesota farmers to attend, MN Ag EXPO returns to the Verizon Wireless Center in Mankato Jan. 23-24 with a packed trade show floor, educational sessions and networking opportunities. Avoid lines at the door and pre-register at MNAgEXPO.com now. Pre-registration before Friday, Jan. 11 ensures your meal tickets for the event. Online pre-registration will remain open after Friday, but meal tickets will no longer be guaranteed. 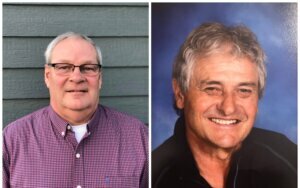 The Minnesota Corn Growers Association (MCGA) inducted two top MCGA recruiters to the MCGA Recruiter Hall of Fame last month. Tom Williamson, who farms in Todd County, and Mark Johnson, who farms in McLeod County, were honored for their long-term commitment to growing membership in MCGA. Both Williamson and Johnson have recruited for more than five years and combined to add more than 750 members to MCGA. One of the largest and best agricultural shows in Minnesota, MN Ag EXPO returns to Mankato Jan. 23-24. 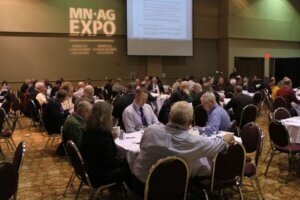 Hosted jointly by the Minnesota Corn Growers Association and the Minnesota Soybean Growers Association, EXPO 2019 will feature an excellent list of exhibitors and an engaging lineup of speakers. Minnesota corn and soybean farmers interested in attending are encouraged to register today at MNAgEXPO.com to avoid long lines at the door. Time is running out for Congress to pass a farm bill in 2018. With only a few joint legislative days left, farmers should call their congressional leaders and stress the need a for a new farm bill in 2018 to prevent major programs lapsing at the end of the year. 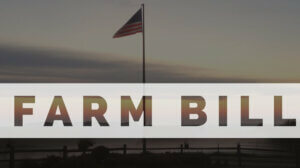 Through the end of the week, Minnesota’s corn growers are asked to join farmers nationwide in contacting their representatives and senators to stress the need for a new farm bill during times of economic uncertainty on the farm. 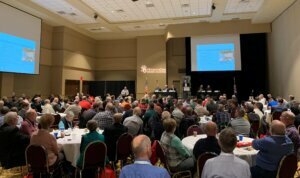 The Minnesota Ag & Food Summit, hosted by AgriGrowth, returned last week with a lineup of engaging speakers who tackled top-of-mind-topics for the state’s corn growers. 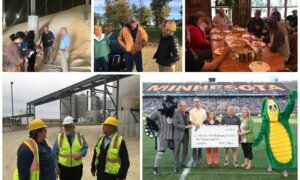 The future farm economy, trade policy and the post-election landscape all took center stage in Minneapolis last Thursday. 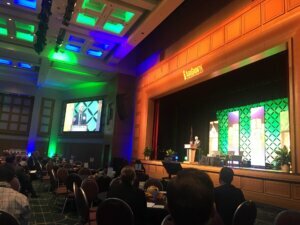 Jason Henderson, who is an associate dean at Purdue University’s College of Agriculture, kicked off the conference with a presentation that underlined the importance of identifying areas of emerging demand.